Heading into Fall… | Damian Trasler's Secret Blog - Do Not Read! ← The latest Lazy Bee Releases – new scripts for theatre groups! Autumn is typically a time of looking back, of hunching shoulders and preparing to draw down for the Winter. But this year, I’m feeling unusually optimistic about the coming months. The Appraisal Service has been busier than ever, and I beta read the fun “A Mystic Romance” and the challenging “Jump Drive“. Both of these last were projects I picked up through the social network G+, an invaluable source of advice and interesting information. As you can see from the drop down menus at the top of the page, I have also dived back into Circus Skills workshops, reaching out to local school and the Parks and Recreation programmes in my local area. Circus Skills are easier to pick up than you might think, and there’s quite a range of things to learn. 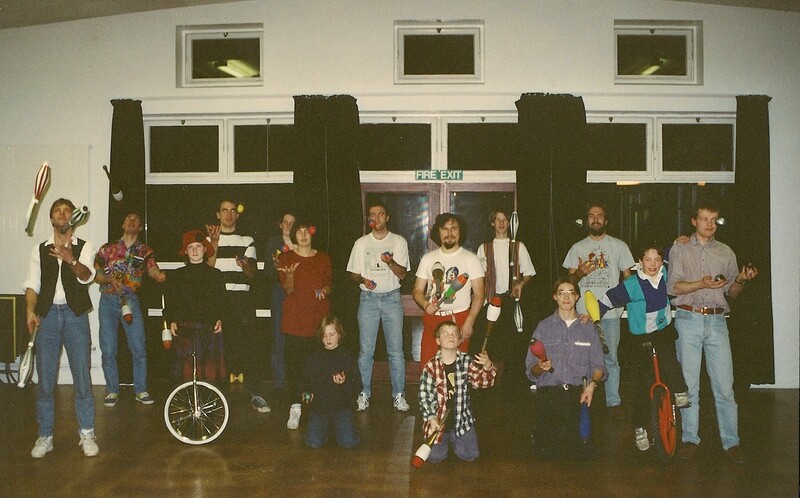 I have a trunk full of kit from my days as a semi-professional juggler, and I spent several years in the UK running workshops and Adult Education classes in juggling and circus skills. One of my early workshops at Winchester, UK. See anyone you know? If you have any questions about my proofreading services, or about Circus Skills, or you just want to learn more about G+, then drop me a line at dtrasler@shaw.ca, or leave a message in the comments. Now I have to go and rake up the leaves. 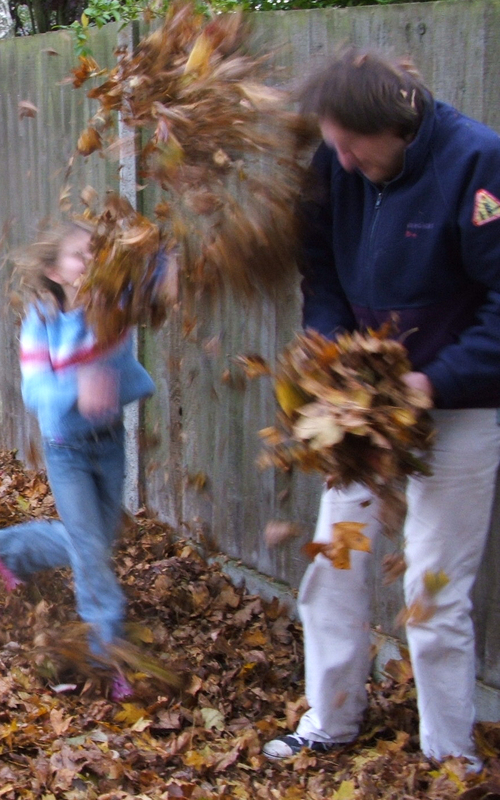 What have YOU got going on this Autumn? This entry was posted in Uncategorized, Writing and tagged circus skills, Damina Trasler, editing, Fall, Juggling, leaves, manuscripts, plays, proofreading, scripts, writing. Bookmark the permalink.